Judge Loya Case To New Bench? 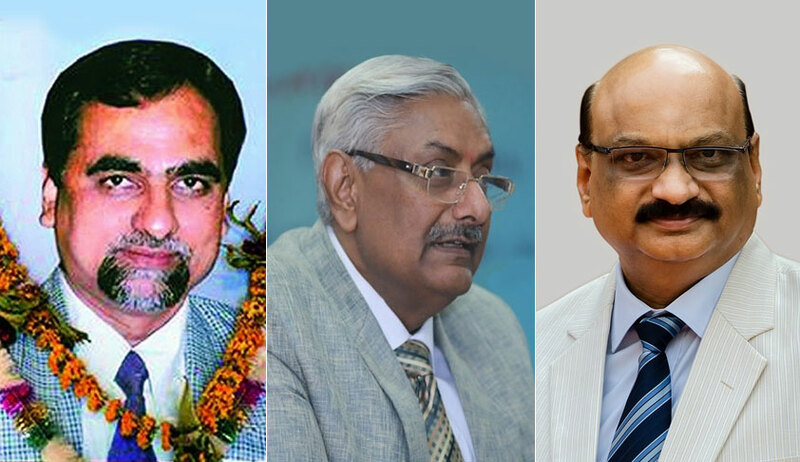 While adjourning the petitions seeking independent probe into Judge Loya’s Death, the Supreme Court bench of justices Arun Mishra and M Shantanagoudaron Tuesday directed the matter to be placed "before the appropriate bench". This might be an indication of the PIL being moved to a new Bench. It may be recalled here that the issues surrounding Judge Loya's death are being considered as the tipping point for the unprecedented press conference that was held on Friday. Justice J. Chelameswar, who has been the rebel within the collegium for a while now, had addressed the press conference, flanked by Justice Ranjan Gogoi, Justice M.B. Lokur and Justice Kurian Joseph. The quartet had then asserted that the administration of the Apex Court is "not in order" and that many "things less than desirable" have been happening in the last few months. The major bone of contention for the four Judges was assignment of matters. The letter written by them to the CJI two months ago had acknowledged that the CJI is the master of the roster, but had asserted that this is "not a recognition of any superior authority, legal or factual of the Chief Justice over his colleagues". It had then stated that while there are well-settled conventions guiding the Chief Justice in the task, off late such conventions have not been strictly adhered to. However, despite the conference, there was no change in the composition of the Constitution Bench that is going to commence hearing from 17 January. The Bench comprising Chief Justice of India Dipak Misra, Justice A.K. Sikri, Justice A.M. Khanwilkar, Justice D.Y. Chandrachud and Justice Ashok Bhushan will be hearing eight important cases referred to it. These include petitions relating to the constitutionality of Aadhaar, entry of women in Sabarimala and change of religious identity of Parsi woman. It will also reconsider earlier judgments which had upheld IPC sections penalizing adultery and homosexuality. You may read more about the cases here. The Supreme Court's order today, however, may be an indication of the matter being moved to a new Bench, a step that might play a huge role in soothing down the turmoil that has engulfed the Apex Court for a few days now.